“Cuba London Lola” is the New Album of Flamenco and Latin fusion by London based multi-talented singer songwriter and dancer Lola Rueda. Blending beautifully elements of flamenco, pop and Latin in a unique sound elegantly garnished with thoughtful lyrics, are the perfect soundtracks, all combined with powerful and passionate dance settled in a Cabaret intimate style. A path from Cuba to London. 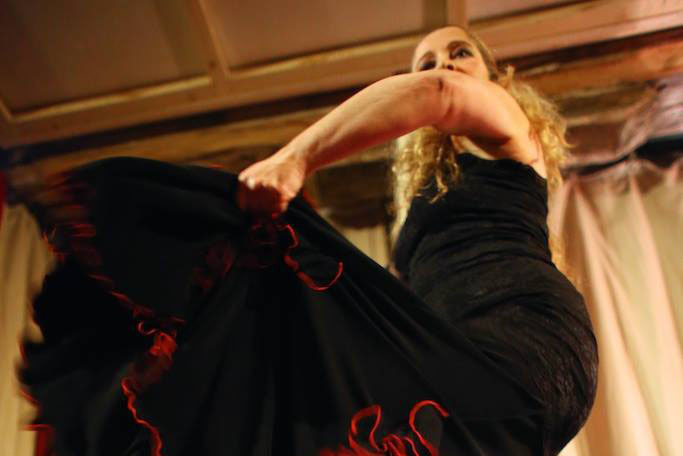 Both artistic and personal experiences of the most recent years of Lola’s life, expressed in her second Solo Album called “Cuba London Lola” with the flavour of her songs in Flamenco and Latin styles, mixed with traditional and contemporary dance and a touch of Pop. Accompanied by a magnificent band of Spanish and Latin musicians, singer and dancer Lola Rueda is providing a performance where she will be singing and dancing this new Album at her best.